Medvescak Zagreb win the 9th consecutive tilte of Croatian League, the 24th in the history of club, by beating once again traditional rival KHL Mladost Zagreb in three games: after a battiling game #1, won 3-2 at overtime, Medvescak trashed opponents 12-1 and 10-2, alligning some of the KHL players. 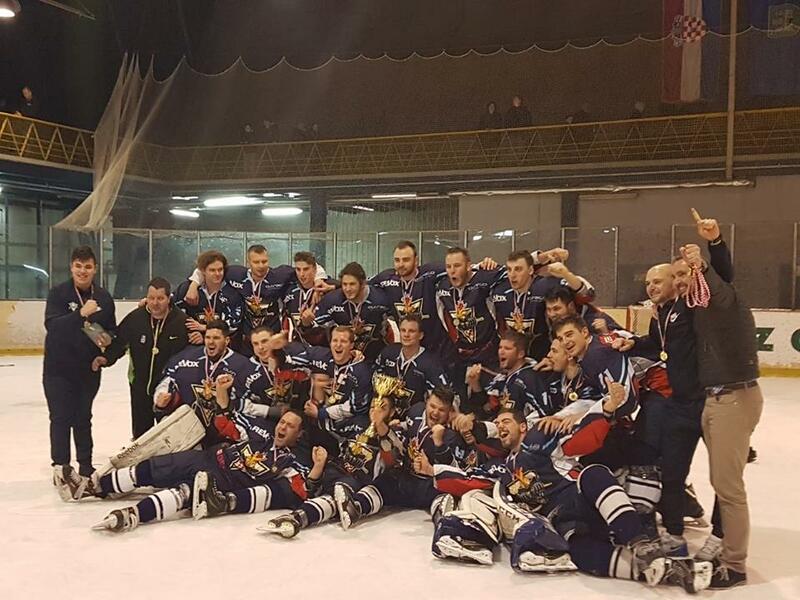 Medvescak Zagreb won the seventh consecutive title in Croatia, beating 3-0 in the final series (7-2 ; 6-5 and 10-3) Mladost Zagreb. As usual Medvescak competed in regular season with reserve team, but played playoffs with various players from KHL team. Big score in Croatian League round #2: Mladost Zagreb won 31-2 against Sisak. Mladost forward Miro Smerdelj was the top scorer of the night with 8 goals and 4 assists. The Croatian League started with a surprise: multi-champion Medveščak Zagreb didn't provide medical team for the opening game against KHL Sisak, so it couldn't be played. Thus the game is registered as a Sisak 5-0 win. In the other match, KHL Zagreb defeated silver medalist Mladost 9-7. Follow Croatian League on eurohockey!